A longbow is typically always measured against its archer, and against youths, this bow certainly qualifies. The Wooden LARP Youth Longbow is a bit shorter than a typical longbow, but that just makes it more appropriate for the younger archers out there. 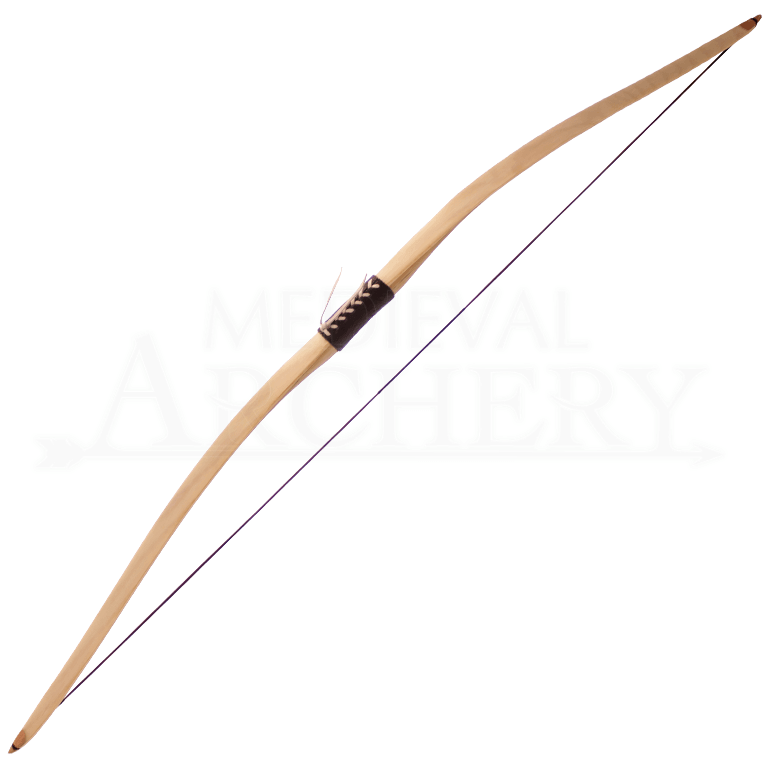 Despite its appearance as a typical medieval longbow, this bow is made to specific qualifications, which make it more appropriate for LARP use than anything else. It is crafted from fiberglass, which gives it a high level of durability, although the simulated Woodgrain finish gives the bow a realistic look that makes it fit nicely into the most typical of medieval or historic themes. It is safe for use in LARP battles, possessing a draw weight of 24-26 lbs. at a 28 inch draw length. The bow also features a nice leather hand grip, which ensures that it is comfortable to hold and to fire, whether for practice or for actual LARP battle. It measures approximately 58 inches tall and is perfectly suited for both left-handed archers and right-handed bowmen. The string is made from Dacron B50, which is a synthetic string that provides a measure of reliability when it comes to firing your arrows. The bow is perfect for shooting all manner of different arrows, ranging from traditional LARP arrows and IDV arrows, all the day down to actual arrows for practice. The bow comes complete with a string and a bow bag, which is perfect for storing your bow and for traveling with your bow. As its name suggests, this bow would also make for a fantastic youth bow, where the low draw weight would gradually help train a beginning archer until they graduate to bigger, more powerful longbows. Perhaps size is an issue and you need a bow to suit a smaller frame, or perhaps you just want something that looks like a typical longbow, but in a smaller package. Either way, you have found just that in this simple yet effective Wooden LARP Youth Longbow.